GERMANY: Alstom has been named as preferred supplier for the 348MW Arcadis Ost 1 wind power project in the German Baltic Sea. Developer KNK Wind cited the company's Haliade 150 6MW turbine in its application for a building permit submitted last autumn, Alstom said. 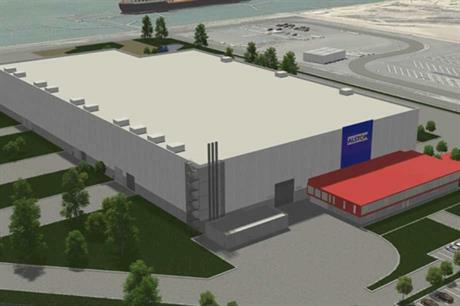 If the order is confirmed, the turbines will be built at Alstom's new factory in St-Nazaire, which is due to start production by the end of this year. Arcadis Ost 1 was granted preliminary approval by regulators in early 2013 for 58 turbines, an offshore substation and three "test" turbines. If all goes to plan the project, which lies 19km off Rügen Island in 41-46-metre-deep waters, could be completed by the end of 2018. Project partners include WV Energie, Nordex, IKB and SWBV.